What The Hell Is Going On With This Mercedes SLS AMG E-Cell? Mercedes isn't talking, but we have a fairly good idea. Over five years ago, Mercedes-Benz revealed the at the Paris Motor Show. Obviously the SLS lineup has since been replaced by the AMG GT. As for the ? Less than 100 examples were built. Remember, EV tech has come a long way since 2012, so at the time it made little sense for a mainstream automaker to offer, at least in large numbers, a high-performance EV. , which brings us to this latest spy video from Automotive Mike. What you’re looking at is indeed an old Mercedes the automaker held on to for testing reasons. And, low and behold, it’s being used from some weird testing at the Nurburgring. What is all of that equipment attached to it? What’s up with those chase cars? We honestly don’t know, but we can make an educated guess. Mercedes is very likely working on an updated electric drive system, new batteries and all. The is simply an ideal way to hide that fact. But what we really think is going on is that an all-electric AMG GT is in the works. Because it’s immediately clear, based on a lack of engine exhaust, whether a test mule is an EV or not, Mercedes took out the old SLS E-Cell instead of using an AMG GT body shell. Remember, the AMG GT rides on a heavily updated version of the SLS’ platform, so there are some similar underpinnings. Point being, a new electric drive system designed for the AMG GT shouldn’t be too difficult to bolt into the old SLS. 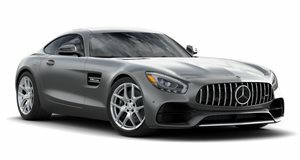 That way the existence of the AMG GT EV can be kept under the radar. Then again, we’re writing about it right now. In any case, this SLS E-Cell does not look like your typical test mule and it’ll be very interesting to see what eventually transpires.